Google's Pixel phones may be known for their incredible photo and video-taking prowess, but audio recording is one area in which the handset range could stand to see a little more love. 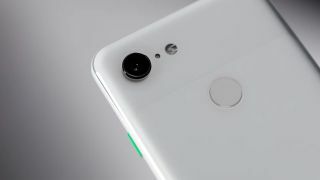 "At the same time as Pixel 3 launch (October 18th), we will introduce support for Android-compatible plugged-in external microphones in the default camera app for all Pixels," said a member of Google's Pixel camera engineering team. Mic support will be available through the USB Type-C port on the Pixel 2, Pixel 2 XL, Pixel 3 and Pixel 3 XL (you'll likely need a dongle for that), while the original Pixel range have access to a 3.5mm headphone jack. Along with external mic support, the Pixel 3's camera app will bring a bunch of new features, including super selfies, super zoom and 'Top Shot', which takes several photos for you and then uses machine learning to select the best one. Google Pixel 3 vs Google Pixel 2: is this year's phone better?